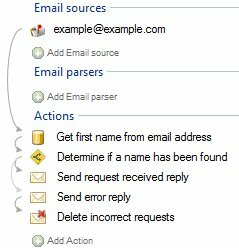 Sending an email is a very common action in Email Parser. 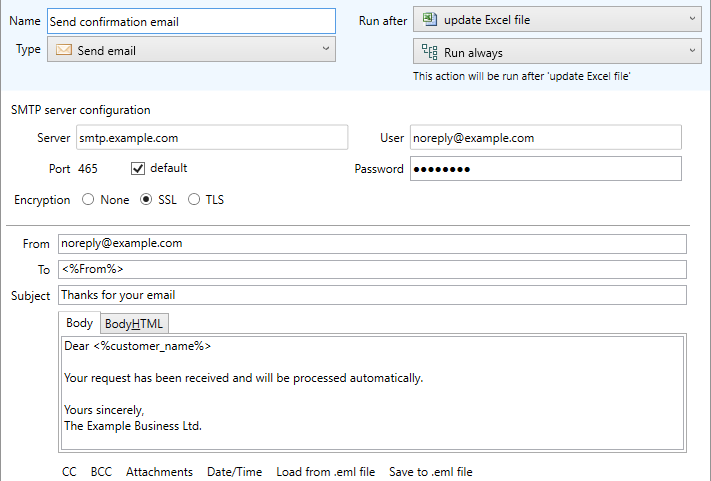 It is mostly used to send confirmation emails back to sender of the email being processed like the screenshot above. The following example show a typical example of automatic reply. The sender email address is searched in a database and if it is found a reply email is sent stating “Your request has been received…”. Otherwise it sends an email with an error to the sender.